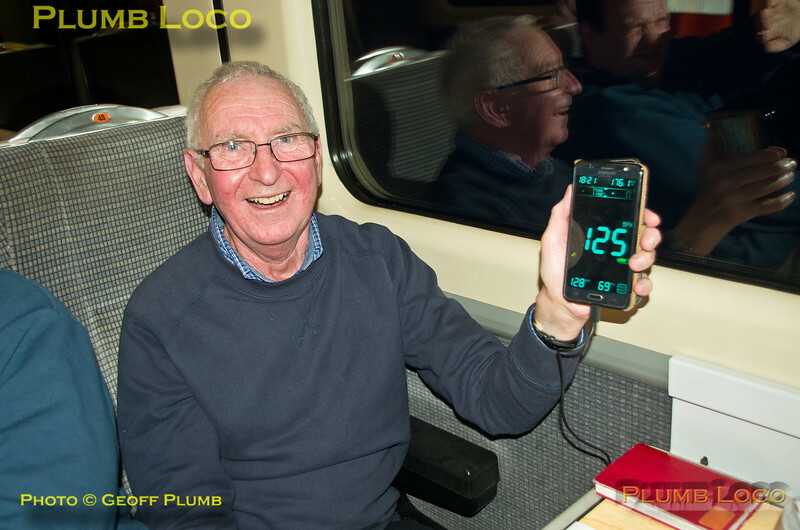 On the return run of the BLS "Grand Farewell" tour from York to Newcastle, the Grand Central HST set is timed at 125mph by David Alcock, displaying the speed on his smartphone GPS Speed App on the stretch between Pilmoor and Thirsk at 18:21¼ on the evening of Sunday 17th December 2017. Digital Image No. IGMP33638.